- Quickly backup device drivers for your computer. - Backup your drivers to a ZIP or EXE self-extracting file. - Clone your drivers to an auto-setup package. - Wizard mode allow you to backup or restore your drivers step by step. - Get detailed information about your installed devices. - More than 20,000 types of hardware information and 1,000 device drivers in the database. - Easy to get the most recent drivers for your computer. - Upgrade your drivers by one click. - Liveupdate your drivers information database online. - Scan drivers for viruses, to ensure backup safely. - There are four download addresses you can choose for each driver. - Activate the hidden options in NVIDIA Display Driver settings. - Get more details of your Operating System, BIOS, Processor, Memory, Floppy Drive, HardDisk, CD/DVD Rom, Video card, Sound card, Network card, Modem, Keyboard, Mouse, Printer. 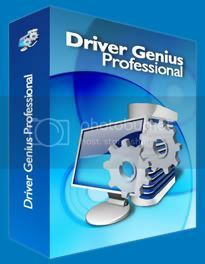 Driver Genius tetap di hati....~....dah guna sejak taon lpas...nk format je backup driver..thnx..
itu cuma lakunan sahaja bukan?.. anda bukan menyedut ia pun..